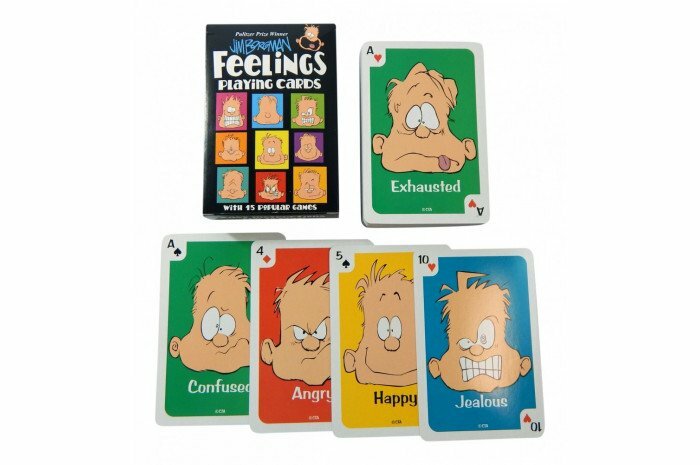 Familiarize your clients with 30 different feelings as they play with these feelings playing cards. Instructions included for 15 different games so you'll never grown tired of playing with these durable cards. Use them in group or individual counseling. Each card has a face, number, and suit so you can use these are regular playing cards too. Slightly larger than a regular deck, even young children will enjoy them. Sized 4 1/2"x 3 1/2". With so many play options, great for portable play too! 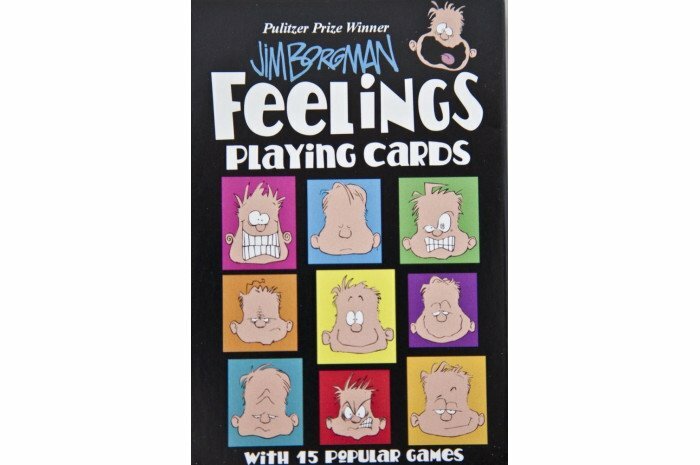 These feeling cards have been happily welcomed by my 6-year old grandson who enjoys knowing people's feelings. The fact that kids' favorite card games can happen with these is a big plus. 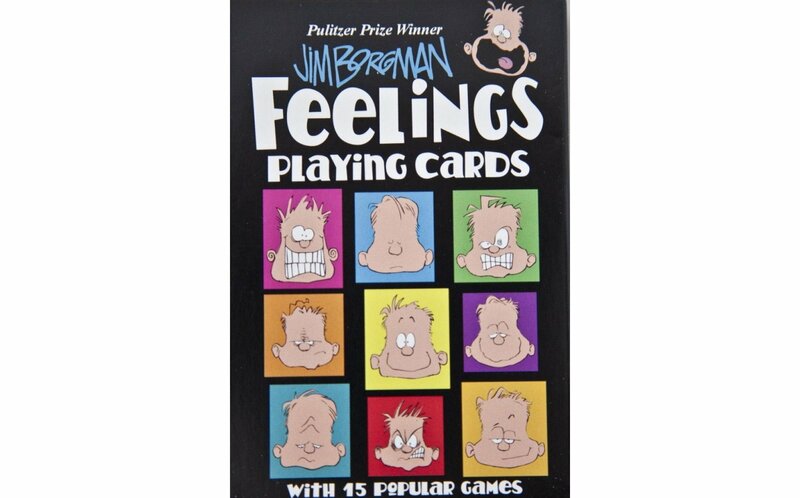 "Frustrated" is a favorite as well as the "Feelings" game (#1), so far. The children I use these with quickly enjoy them. Having many of the games mimic old favorites like Old Maid, Crazy Eights, Rummy, while using different titles, thankfully (I hate the name "Old Maid" -here changed to "Frustrated"), it's easy for most kids to gain mastery of the play and have attention for the (large) zany yet expressive feeling faces. Eliciting stories in the flow of the game feels natural. these are great, high quality cards!! The instructions for game ideas are clear and fun, the pictures are great and they have suits as well as emotions. I'm very impressed and looking forward to using them with my young clients!! The feelings card games, especially “Go Fish” is a great game to use with a variety of age groups. This is one of my favorite therapy games and the 3rd time I ordered these cards for our therapy practice. I ask the children to talk about their feelings with each match they make.